No Man's Sky (game, 2016). An action-adventure survival video game by Hello Games/SCEA/Sony Interactive Entertainment. Developed by Hello Games. Official Trailer. No Man's Sky is an action-adventure survival video game by Sony Interactive Entertainment, Hello Games and SCEA, developed by Hello Games. 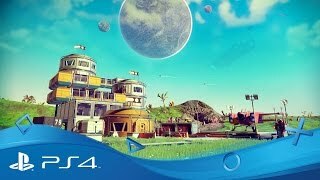 No Man's Sky | Foundation update trailer | PS4. The player character, known as the Traveller, wakes up on a remote planet near their crashed spacecraft. They receive a message from an entity called "The Atlas" that offers its guidance, directing the character to make the necessary repairs to the spacecraft and collecting the resources needed to fuel a hyperspace jump to another solar system. En route, they encounter individual members of three alien species, the Gek, the Korvax, and the Vy'keen, that inhabit the galaxy. As the Traveller moves towards other systems, they are alerted to a presence of a space anomaly in a nearby system. Travelling there they find a special space station ("space anomaly") where two aliens wait for them, Priest Entity Nada and Specialist Polo. Nada and Polo have knowledge beyond what other aliens in the galaxy appear to possess, including being able to speak without translation to the Traveller. They are able to guide the Traveller towards meeting Atlas, either by directing them to the location of a nearby Atlas Interface, or to a black hole that can quickly take the Traveller closer to the centre of the galaxy. The Traveller investigates the Interfaces to find themselves in direct communication with the Atlas which wants them to continue to explore and collect information all while moving towards the centre, where the Atlas entity appears to be. The Atlas judges the Traveller's progress, and grants it an Atlas Stone if it deems the Traveller worthy. The Traveller continues on its journey, continuing to gain help from Nada and Polo and Atlas Stones from other Interfaces. As the Traveller progresses, they become aware that they, like Nada and Polo, are different from the other sentient beings in the galaxy, having some sense of the universe's construction and nature. It is revealed that the galaxy itself exists as a computer simulation managed by the Atlas, the Traveller an entity created by the Atlas to explore the simulation, while Nada and Polo were "errors" that had become self-aware of being in a simulation and isolated themselves in the anomaly to help others. No Man's Sky is an action-adventure survival game played from a first person perspective that allows players to engage in four principal activities: exploration, survival, combat, and trading. The player takes the role of a specimen of alien humanoid planetary explorer, known in game as the Traveller, in an uncharted universe. They start on a random planet near a crashed spacecraft at the edge of the galaxy, and are equipped with a survival exosuit with a jetpack, and a "multitool" that can be used to scan, mine and collect resources as well as to attack or defend oneself from creatures and hostile forces. The player can collect, repair, and refuel the craft, allowing them to travel about the planet, between other planets and space stations in the local solar system, engage in space combat with alien factions, or make hyperspace jumps to other star systems. While the game is open ended, the player may follow the guidance of the entity known as the Atlas to head towards the centre of the galaxy. 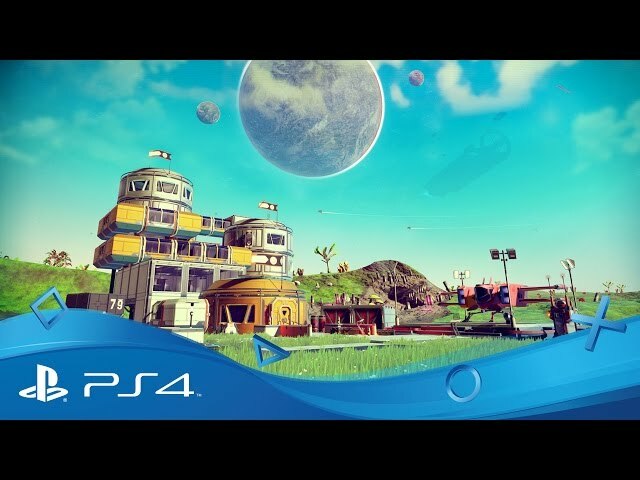 No Man's Sky was scheduled to be released by Hello Games, SCEA and Sony Interactive Entertainment on August 9, 2016 (North America), on August 10, 2016 (Europe, United Kingdom), on August 12, 2016 and on July 24, 2018. This video game is available for the following platforms: PlayStation 4, Microsoft Windows and Xbox One.